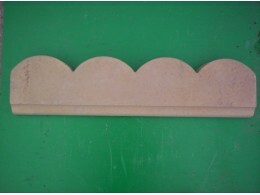 This stunning border/edging is made from natural stones bonded together. The result is a beautiful contemporary stone border that sparkles in the sunshine, is easy to install and can be used both indo..
100x100mm Sandstone Setts. 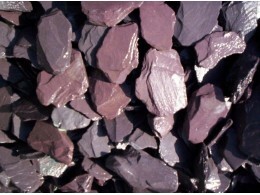 These setts can be used as a border or incorporated into the patio. 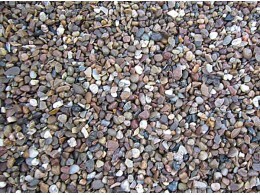 They can complement the same type of paving or use a different type for a contrast. 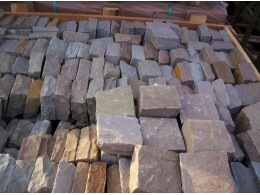 Avail..
Sandstone Setts 150x150mm Suitable as a border for paving or as setts in a courtyard style Price 49p Includes Vat.. This stunning bull nosed step is made from natural stone in Mint colour, diamond sawn and machined. 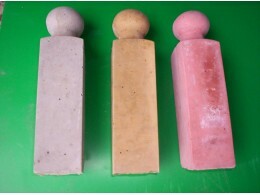 The result is a beautiful contemporary bull nosed step/edge that can be used both indoors and o.. This stunning bull nosed step is made from natural stone in Rainbow colour, diamond sawn and machined. 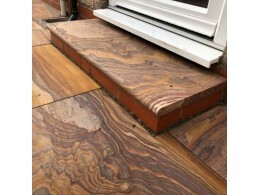 The result is a beautiful contemporary bull nosed step/edge that can be used both indoors and out..
Flat top edging granite Azul. On display at our AC showsite. * Reduced - 25% Off while stocks last * Now Only £399 per pack including vat - The lowest price in the UK - Guaranteed. 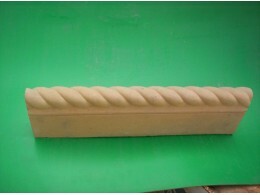 * ..
Rope Twist Edge - Red 450mm x 230mm depth Price Includes vat.. 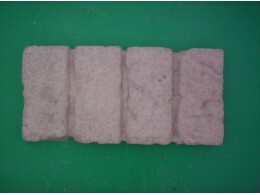 Brick Edge - Buff 450mm x 230mm depth Price Includes Vat.. 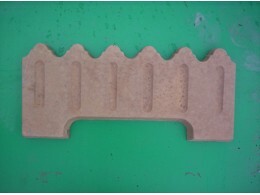 Brick Edge - Red 450mm x 230mm depth Price Includes Vat..
Log Edge 600mm x 300mm depth. Available in Brown or Buff Price Includes Vat.. 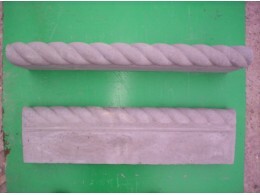 Double sided rope twist edge in charcoal. 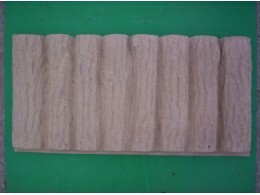 600mm x 150mm depth Available with pillars Price Includes Vat.. Double sided rope twist edge in red. 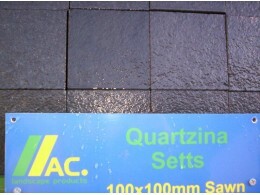 600mm x 150mm depth Available with pillars Price includes Vat.. 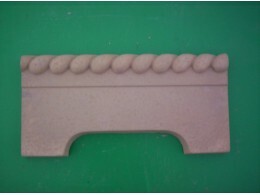 Double sided rope twist edge in yorkstone. 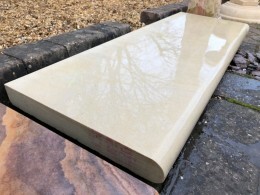 600mm x 150mm depth Available with pillars Price includes Vat..
Rope Twist Edge - Buff 450mm x 230mm depth Price Includes Vat..
Rope Twist end pillar Please state colour when ordering Price Includes Vat..
Scallop Edge - Buff 600mm x 150mm depth Price includes vat..
Victorian Edge - Buff 500mm x 230mm depth Price includes Vat..
Victorian Edge - Red 500mm x 230mm depth Price includes Vat..